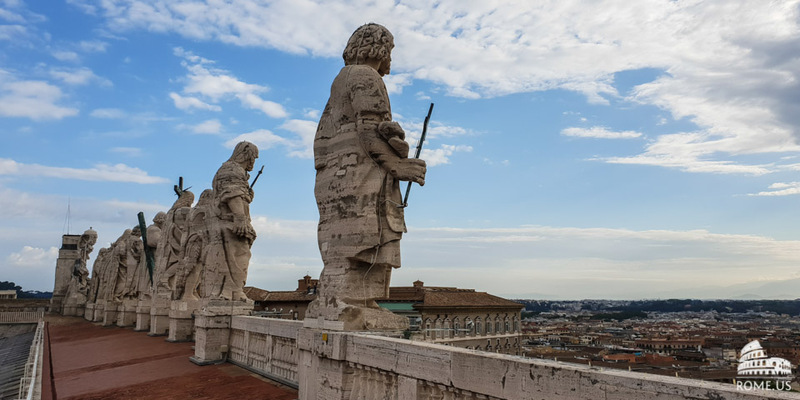 Climbing to the top of the cupola (dome) of Saint Peter’s Basilica is one of the main attractions during your Roman holiday since it is the highest point of Rome, located on the territory of the Vatican. 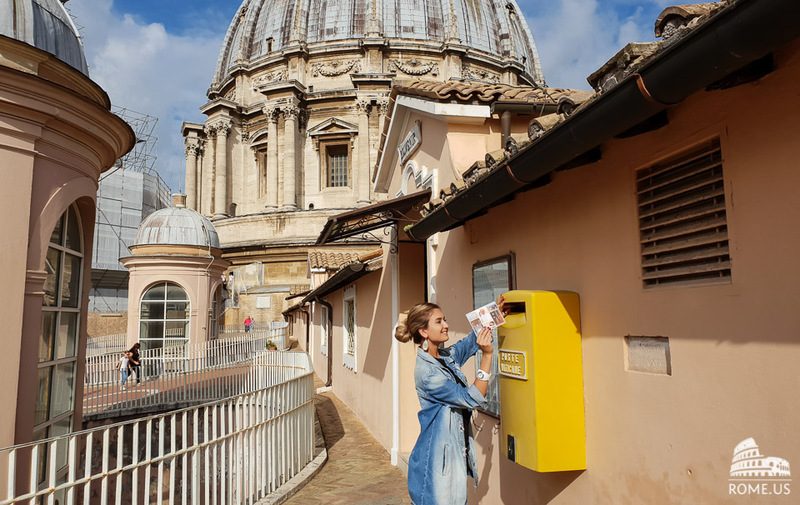 It is important to mention that you should better visit the smallest government in the world in the morning to enjoy views of Rome without crowds of tourists and skip the lines to the Basilica. The dome opens at 8 am and you need to go throw St Peter cathedral security check before climbing. After the security check, look right and you will find a sign that directs you to the kiosk with tickets for the cupola. On the way to the ticket desk you will pass entance to the Basilica on the right side of the colonnade, then the Holy Door. After, turn left and you will see the place where to purchase tickets. 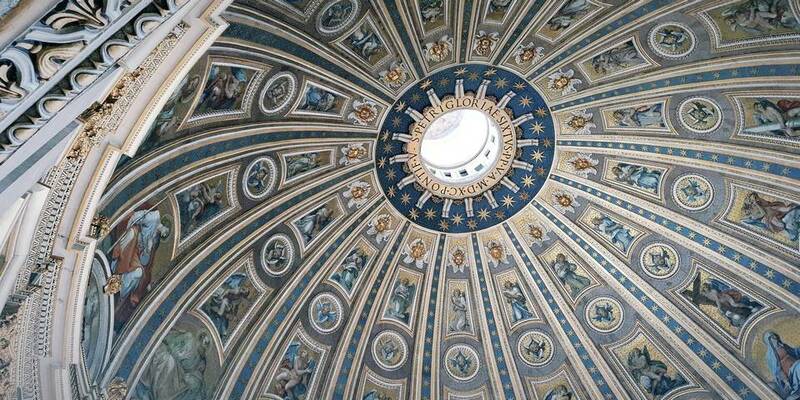 The great cupola located above the altar and the baldacchino, decorated with mosaic and stucco ornaments. It is supported by four structural piers with a perimeter of 71 m and a height of 120 m from the ground to the roof. Moreover, there are large letters on a background, from St. Veronica to St. Helen, say “Hinc una fides mundo refulgent” (From here a single faith shines throughout the world); and from St. Longinus to St. Andrew: “Hinc sacerdotii unitas exoritur” (From here is born the unity of the priesthood). Also, there are 96 figures and a blue sky with stars. Above them you can see the lantern with a Latin inscription at its base:“To the glory of St. Peter, Pope Sixtus V in the year 1590, the fifth of his pontificate.” There were many artists who worked on the decorations inside the dome, since Michelangelo died when only the base was completed. 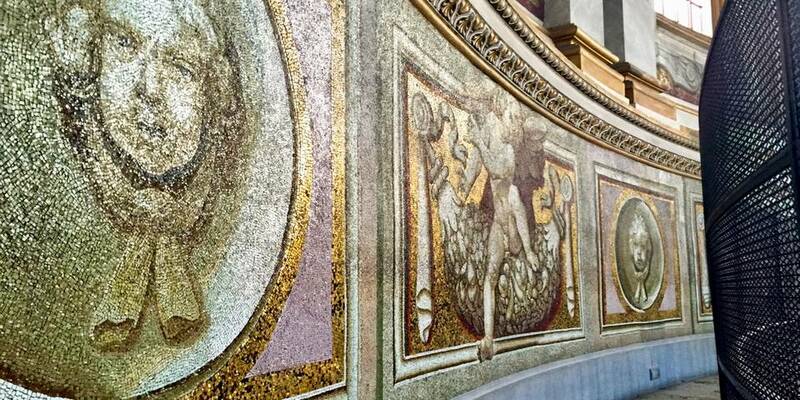 Giuseppe Cesari (Cavalier d’Arpino) was commissioned by Pope Clement VIII to finish the upper part of the decoration. After 30 seconds ride on the elevator you can stop by to take a coffee in a bar on the cupola or to visit a restroom. Climbing up to the top of the dome goes through progressively narrower and sloping stairs. 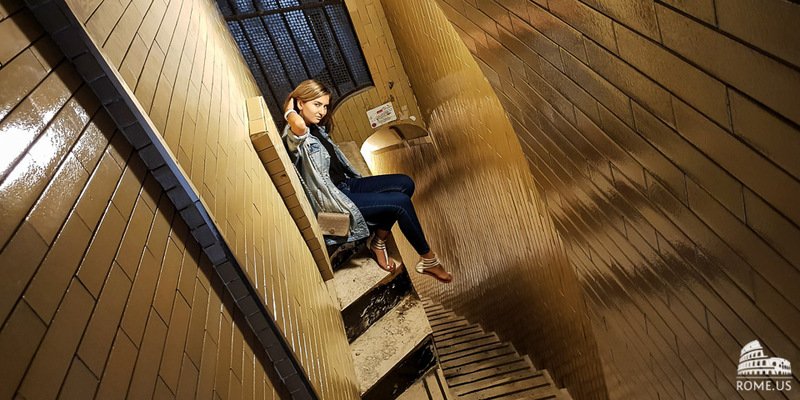 The narrow passageway can be unconvenient if you are claustrophobic. Also, it could be crowded and hot in summer days. However, there are small windows with fresh air and you can take a break while climbing up. Undoubtedly, this is one of the main attractions you can do in the Vatican. Sending a postcard from the highest point of the smallest government in the world is cheap, original and unique present for people you love. The price for the postcard starts from 50 cents, while the stamp price is 2.30 euro if you are going to send it to the US or 1 euro if you want to send it to any European country. 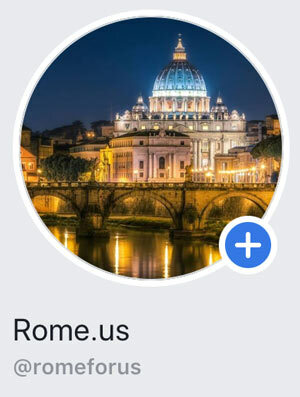 Postcards sold in the Vatican are connected to the thematic of the smallest government in the world: images of masterpieces of the Vatican Museums, Sistine Chapel, Popes, Swiss Guard, etc. Also, there is a souvenir shop at the same place where postcards are sold.